Four RCPTM researchers have been ranked in the Highly Cited Researchers 2018 list. Radek Zbořil, RCPTM Director, appeared on the list for the first time; Pavel Hobza, Rajender S. Warma, and Patrick Schmuki secured their positons from the past years. This achievement means that RCPTM as an institute managed to have more representatives in this elite group, which includes 17 Nobel laureates this year, than countries like Hungary or Slovenia. “I believe that not only does the citation response of our papers reflect their quality, but it also justifies the choice of our research area. 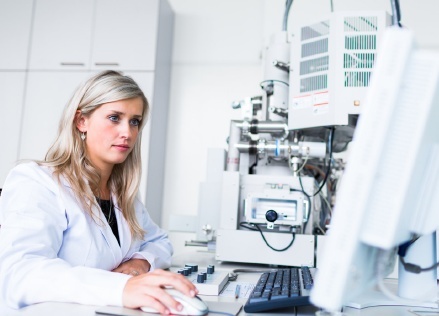 We have been focusing on research into materials and technologies that have great application potential in medicine, biotechnology, or are applicable to water treatment and searching for new energy sources. However, such multidisciplinary research is expensive and the competition is fierce. Achieving success is possible only on the condition of having talented people and innovative ideas in an international environment equipped with state-of-the-art infrastructure. 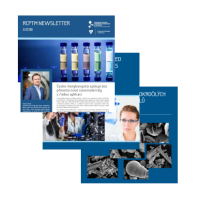 RCPTM and Palacký University possess such qualities, which has been reflected in the Clarivate Analytics rating,” said Radek Zbořil, who was behind the discovery of the thinnest insulator known to date, non-metallic magnets, first two-dimensional Carboxylic Acid, or bacterial resistance to nanosilver. Pavel Hobza, who also works at the Institute of Organic Chemistry and Biochemistry of the CAS, returned to this elite group comprising the one per cent of the most cited researchers in chemistry after a year. 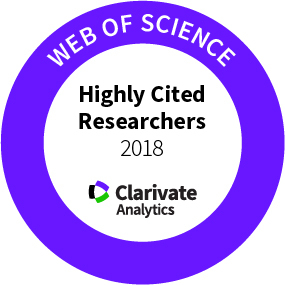 “Being ranked among the one per cent of the most cited researchers of the world for the fourth time is the evidence that our long-term scientific project aimed at non-covalent interactions and their use in bio- and nanoscience is still very prospective. Over the past few years we have been moving on from fundamental research to applications and the results derived from the close connection between theory and experiments are more than promising,” said Professor Hobza, who has become widely recognized for the discovery of nonclassical hydrogen bonds. The list has repeatedly featured other scientists working at RCPTM—chemist Rajender S. Varma, who is currently a member of U.S. Environmental Protection Agency (US EPA) and Patrick Schmuki, who leads one research group at RCPTM and also works at the University of Erlangen—Nuremberg. Professor Schmuki has become recognized for the preparation of photoactive semiconductor materials that are used in technologies for solar water splitting. This year’s list continues to recognize researchers whose citation records position them in the very highest strata of influence and impact as it includes 17 Nobel laureates, including two announced this year: James P. Allison, Physiology or Medicine, and William D. Nordhaus, Economic Sciences.